Last week the cards predicted a price-death, and price dropped ten percent! 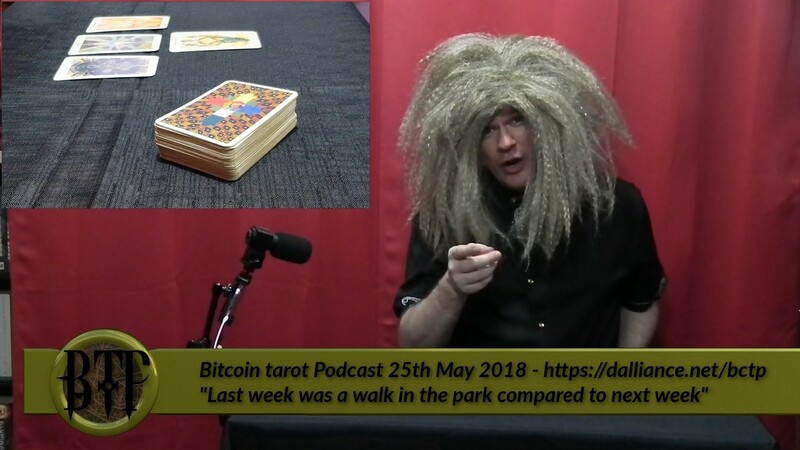 This week Cosmic Conroy reads the cards and finds that last week was a walk in the park compared to the doom of next week. Synopsis: Next week will make last week look like a walk in the park.